For the International Poster Festival Chaumont, France 2005, the Werkplaats Typografie was invited to represent dutch graphic design in the form of a graphic design exhibition. The Werkplaats proposed to temporarily move the school to Chaumont, France and while there work on the exhibition catalogue for 6 weeks. 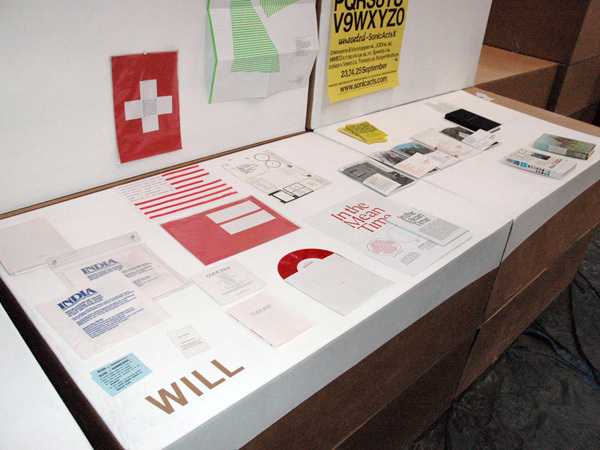 The students chose 11 dutch graphic designers to work with, employing ideologies that coincided with those of the school. 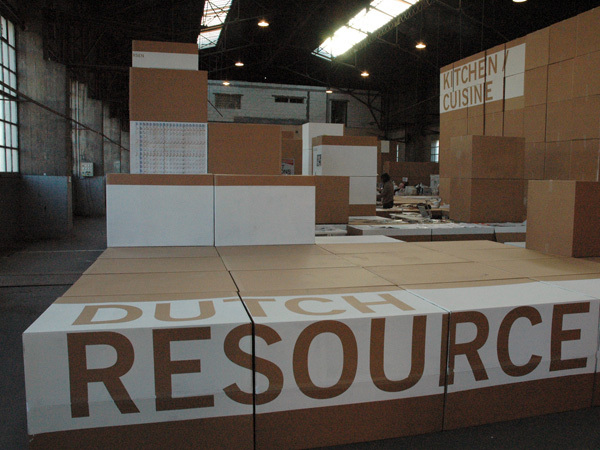 Jeff Ramsey and myself were invited to collaborate with Next Archtecht, Marijn Schenk and Claudia Linders to design and implement the signage program for the exhibition. Our approach was a typographic solutuion set within a white field based on the dimensions of the eurpoean standard A0 poster format. By combining the concept of the "white cube" and the popular European poster format, we masked off and painted white display areas throughout the exhibition space. 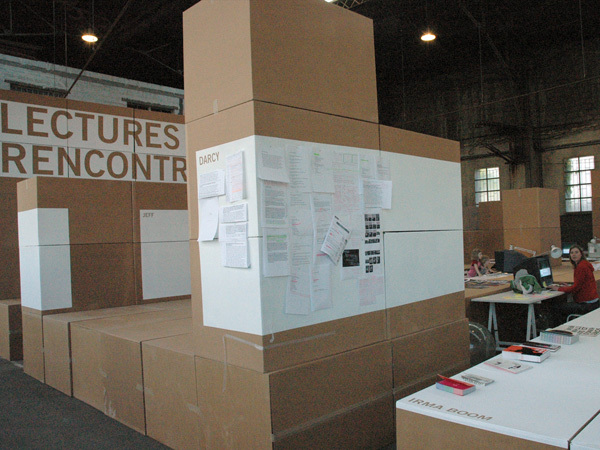 The extended posters snaked through each studio space providing blank display areas for finished design work and process sketches. 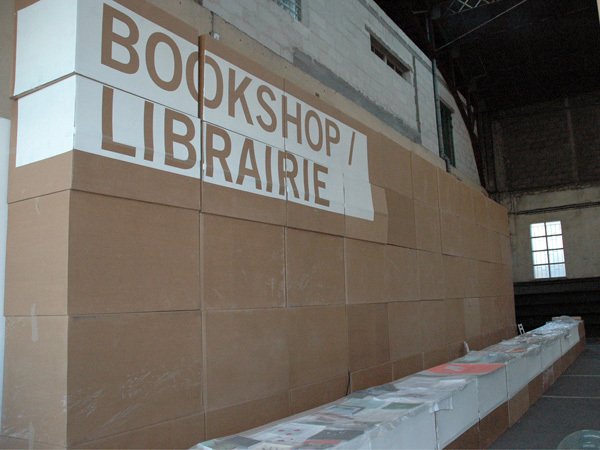 All white display areas included a typographic label which tagged each space.